Lens compatibility is a major benefit when buying into a system. The Nikon D3100 does not have a built-in motor, so lenses need to be of the AF-S type in order to achieve full auto control with the camera. All current digital Nikon lenses are of the AF-S type, but if you already have a number of older AF-I lenses, manual focus may have to suffice. For an in-built lens motor you need to buy the D7000 model or higher. All Canon DSLR models include built-in lens motors and the EOS 1100D is compatible with all EF and EF-S lenses. The bodies are compact and lightweight, so a heavier and more expensive lens can make the combination front-heavy. Both cameras have hotshoe connections for use with flashguns. For wireless flash, however, you’ll need to buy a separate trigger or use a flashgun as the controller. The Canon EOS 7D and Nikon D7000 models have more sophisticated wireless flash control from within the bodies, which is an area in which they surpass their entry-level companions. 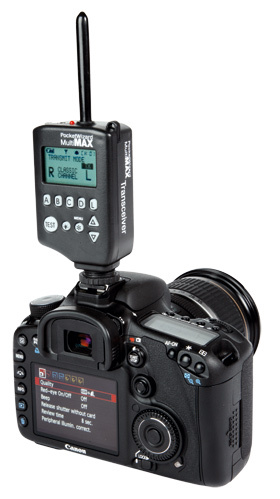 Image: For wireless flash, neither model features a controller so a separate transmitter is needed.